Dangerous road conditions accidents in fact do lead to a large proportion of accidents and injuries in California. When accidents happen due to hazards, humans get hurt and property gets damaged. To better understand how to navigate the roadways, it is important to know the most common types of conditions that lead to accident injury. In the event that you are aware of any of the following conditions, avoid them to heighten the probability of dodging a crash. If you fall victim of one of these scenarios, be sure to contact a lawyer as soon as possible to discuss your legal options and remedies. There are practically an infinite number of dangers on the roads that could lead to a crash. A few of them are so well known and so common that they are important to know in order to enhance one's overall safe driving. Here are some things to watch out for while driving to be safer. Debris in Road Falling From Truck. An obstacle is created when debris of any sort including but not limited to shovels, ladders, furniture, fences, gravel, and power tools, fall off of a truck. When encountered suddenly on the street or freeway, one must act quickly do decide to navigate around the object. This often leads to the driver steering into other traffic, thereby causing a collision. Protect yourself. Always keep a look out for debris that create obstacles to give the maximum time to react. Driver Opening Door into Traffic. Another common hazardous condition involves oblivious people who open their door on the side of the lane when it is not safe. Oftentimes it appears they were never taught that this can be very dangerous. When it suddenly happens in front of you, it is sometimes too late to not strike the door. This can cause loss of automobile control. When there is time to change lanes, it is often a near miss and can result in loss of control of the automobile or worse, a crash into a truck, van or bus. Keep an eye out for poor habits by motor vehicle operators opening their passenger side doors while parked at the roadside. Loose Pets & Stray Animals Running in the Streets. Quite often animals and sadly, loose pets, get free and run into the street. Vehicle operators must be vigilant and look out to protect these innocent creatures from harm. Unfortunately, many cause harm to people when forced to avoid hitting an innocent animal on the loose. Swerving to avoid the animal, the operator drives right into another car or pedestrian nearby. Trying to avoid hitting the animal is praiseworthy and moral, but be sure to check surroundings to not cause more and worse loss of life. Waterlogged and/or Slick Roadways. Tire traction is important to safety. When it is lost, the driver will lose control of their automobile and hit someone else, causing injury to all involved. Be sure to keep your tires maintained and to slow down in the rain, after the rain and when water is left on the road. Stop and Go Traffic Conditions. Last but not least, stop and go! This is an especially dangerous condition because it is so prevalent in Southern California. A rear end collision is usually the result when someone is careless in stop and go. If they are not paying attention to stopping cars, either because of texting, daydreaming, tiredness or something else, there car goes right into the back of the person in front of them. Always check rearview mirrors and slow down early to protect against negligent distracted drivers, especially when things are moving slow! While not a comprehensive list of problems one might encounter, the above is good to start thinking about your driving. Enhance your problem solving skills by being on the lookout for problems and going through steps on how to survive them. 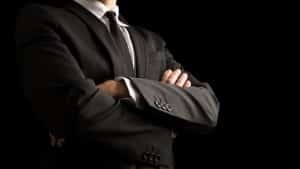 Hiring a lawyer is a novel concept for many people. Most people have never had to get an attorney of any sort for any issue in their life, ever. And even more wonder whether they need a personal injury attorney when they are damaged or hurt by a perilous situation on the street causing their accident. 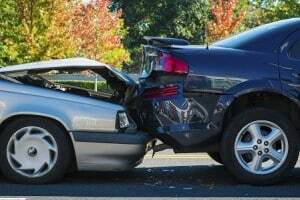 While not all situations warrant legal representation, it is of the utmost importance to reach out to an auto accident lawyer if you are hurt, however small or large the damage may be. Why? Because injuries are expensive, both financially and emotionally, for you and your family. The law provides that the negligent party causing those problems has to pay money compensation. Calling a personal injury lawyer is the top and best way to find out who might be at fault and the available legal remedies. Consider a respected law group in the local area who offers free consultations. 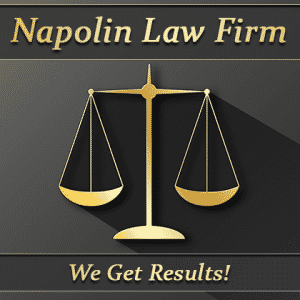 The Napolin Law Firm will speak with you for free to help determine your legal rights. Call right now and speak to a Dangerous road conditions accidents attorney. If you, a family member or friend have been involved in an accident, injury with a truck, car vehicle, motorcycle, dangerous road conditions. Please contact our law offices. Now: (909) 325-6032 .